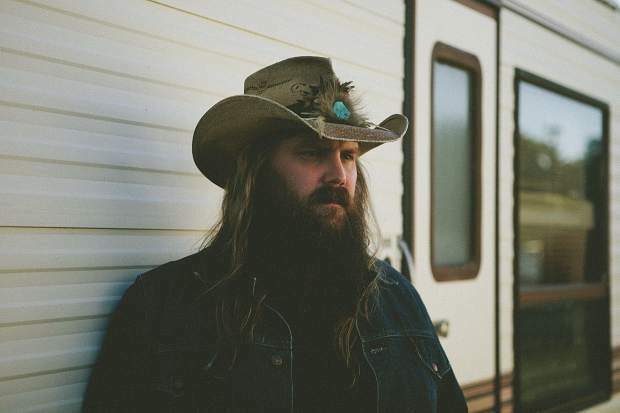 Outlaw country musician Chris Stapleton performs on Thursday, July 26. Summer at Lake Tahoe means one thing: outdoor concerts. While there are countless places to catch music under the sky, the arena at Harveys Lake Tahoe provides top-notch entertainers coupled with views of the lake at its series, which features over 15 artists and kicks off Saturday, June 16, and concludes Friday, Sept. 7. From rock and reggae to pop and R&B, these are the acts to expect at the 2018 Lake Tahoe Summer Concert Series. When: Saturday, June 16, 5 p.m.
Reggae outfit Slightly Stoopid returns to South Shore to kick off the summer series with nothing but good vibes. Stick Figure and Pepper open the show, making it an ideal gig for any fan of ska, reggae and rock. When: Saturday, June 23, 7:30 p.m. Led Zeppelin lead singer Robert Plant takes the stage in Stateline alongside his band The Sensational Space Shifters, comprised of musicians Liam “Skin” Tyson, Justin Adas, Billy Fuller, Dave Smith and Juldeh Camara. Los Lobos and Seth Lakeman open the show, rounding out the rock-centric gig. When: Tuesday, July 3, 7:30 p.m. When: Friday, July 13, 8 p.m.
Mr. Worldwide is sure to bring the beats to Harveys Outdoor Arena with his up-tempo performance in mid-July. The Florida native has gained recognition for songs “Timber” and “I Know You Want Me,” along with collaborations with artists like Jennifer Lopez, Flo Rida and Robin Thicke. Get ready to dance at this show. When: Tuesday and Wednesday, July 17-18, 6:30 p.m.
Improvisational rock group Phish headlines South Shore’s largest outdoor summer venue for two nights come July. Any fan of jam bands and progressive rock should check out this Vermont-based group — maybe even twice. When: Saturday and Sunday, July 21-22, 7 p.m.
No stranger to Lake Tahoe, country artist Keith Urban returns to Harveys Outdoor Arena twice this summer. Urban’s Graffiti U Tour is named after his newest album, which dropped in April this year and features the hit “Coming Home” with Julia Michaels. Fellow country sensation Kelsea Ballerini opens the show. When: Wednesday, July 25, 7 p.m. When: Thursday, July 26, 7 p.m.
July’s week of country comes to a close with a performance from Southern rocker Chris Stapleton, whose brand of outlaw country has earned him five Grammy Awards (three of which came this year: Best Country Album, Best Country Solo Performance, Best Country Song). The “Tennessee Whiskey” singer is sure to put on a show you won’t want to miss. When: Thursday, Aug. 9, 7:30 p.m.
English indie rockers Florence and the Machine formed in 2007 and have released iconic songs like “Dog Days Are Over” and “Ship To Wreck” over the years. This eclectic group — led by vocalist Florence Welch and keyboardist Isabella Summers — performs folk pop, alternative and more, and will put on a performance you’ll remember for a while. When: Friday, Aug. 10, 7:30 p.m.
Singer, dancer and actress Janet Jackson lights up South Shore with a production in mid-August. While she’s known for decades-old hits like “Rhythm Nation” and “Nasty,” Jackson is still turning out new material: Her latest album, “Unbreakable,” dropped in 2015. This is one show you’ll have to dance to. When: Sunday, Aug. 12, 8 p.m.
For the first and only time this summer, Harveys Outdoor Arena welcomes a comedy act instead of a concert. Stand-up comedian Amy Schumer — the actress behind films including “Trainwreck” and this year’s “I Feel Pretty” — headlines the venue alongside some of her friends, who have yet to be announced. When: Friday, Aug. 17, 7 p.m.
A night with Peter Frampton AND Steve Miller Band? What could be better? This is a can’t-miss gig for any die-hard rock fan. Get ready to see the talents of the men behind “Baby, I Love Your Way” and “The Joker” in action. When: Saturday, Aug. 18, 7 p.m. The 26-year-old pop sensation has gathered much attention in recent years for solo hits “Attention” and “One Call Away” and collaborations with Meghan Trainor and Selena Gomez on “Marvin Gaye” and “We Don’t Talk Anymore,” respectively. Fellow pop artist Hailee Steinfeld opens the show. Get ready to dance the night away. When: Friday, Aug. 24, 7:30 p.m. When: Friday, Aug. 31, 7:30 p.m.
German rock band Scorpions brings Lake Tahoe’s August entertainment to a close. The heavy metal group, known for hits “Wind of Change” and “Rock You Like a Hurricane,” formed in 1965 and have been going strong ever since. When: Friday, Sept. 7, 7:30 p.m.
Dave Matthews Band wraps up the 2018 Lake Tahoe Summer Concert Series with its performance following Labor Day. The rock group and jam band formed in 1991 and won a Grammy Award for Best Rock Vocal Performance by a Duo or Group six years later. DMB’s newest album, “Come Tomorrow,” dropped Friday, June 8. The band’s South Shore show is the perfect way to bring summer to a close. Ticket prices provided by Harrah’s and Harveys Lake Tahoe and Ticketmaster. Purchases are conducted online via http://www.ticketmaster.com. All concerts are held at Harveys Outdoor Arena (U.S. 50 Stateline Avenue).